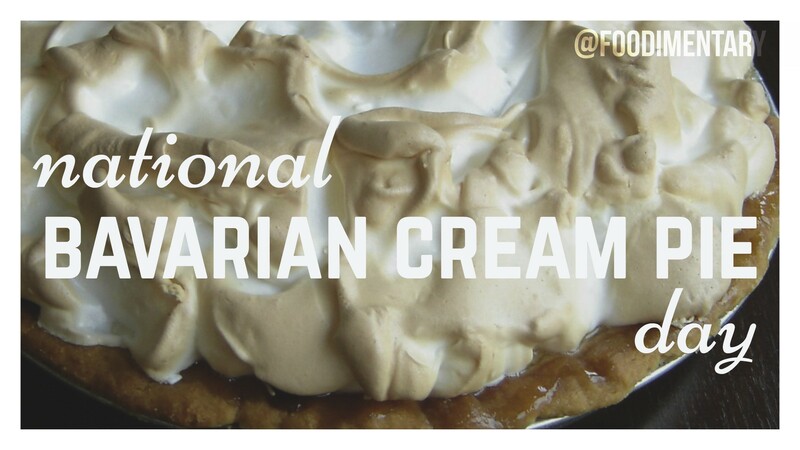 November 27th is National Bavarian Cream Pie Day! Bavarian cream was originally a cold dessert of egg custard stiffened with gelatin, mixed with whipped cream (sometimes with fruit purée or other flavors), then set in a mold, or used as a filling for cakes and pastries. The suffix ‘crème’ in German speaking lands, is the term for the gelatin mold used to make it.